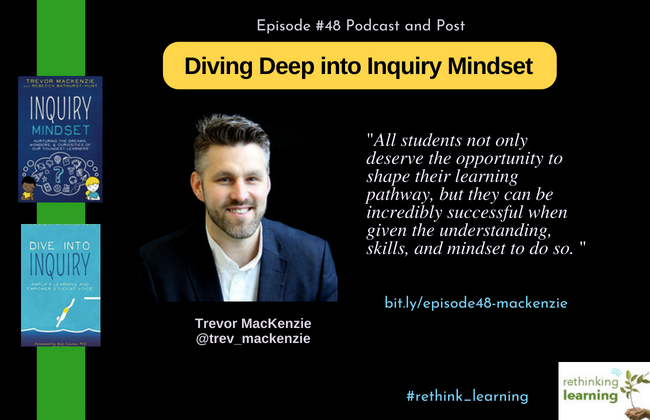 Trevor MacKenzie is a high school teacher, Instructional Coach, speaker, and author of two books, Dive into Inquiry and Inquiry Mindset. He teaches at Oak Bay High School in Victoria, British Columbia, Canada. Yes, I’m a Canadian born and raised in British Columbia, Canada and moved to Victoria almost 20 years to the university here. That’s where I met my lovely wife, Sarah. We did some traveling and taught in different countries for a bit but we always knew Victoria was going to be our home. 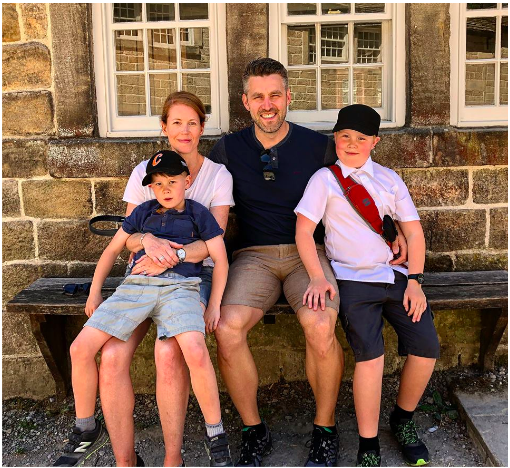 We have 2 sons, Ewan who is 9 going into 4th grade and Gregor, a six-year-old going into first grade now since we did the podcast. As you know with kids, they are naturally curious and discovery-based learners. They helped me shape my understanding for the teacher I wanted to be for my kids but also my children in my 9-12 English classes at Oak Bay High School. I do a lot of traveling, a lot of consulting, visiting really neat spaces, and dealing with innovative practices where inquiry-based learning is happening. In school, I had a pretty up and down experience. I think a lot of authors and consultants have similar situations as I did; a story that they don’t want to pass on to their students or to their own children. I had a lot of mediocre learning experiences, nothing that really stood out for me as a teenager. 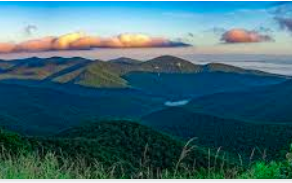 But there were a few amazing educators and coaches that really went out of their way to create some memorable experiences for me, whether it was on a bus to a basketball tournament or a poetry unit that enlivened my passion for writing. They are a big reason why I became a teacher because they passed on their passion for teaching to me. They left an impact on me for lifelong learning and paying it forward. I try to go back and let those teachers know that they made a difference in my life. So often we don’t hear from our students the impact of our hard work, determination, and passion as teachers because they leave and it doesn’t resonate with them until much later. For anyone listening to this podcast, let those teachers know what you are doing with your life. It is so important to say thank you to the teachers who left their mark on your life. It can be such a powerful moment. This is the reason why inquiry is such an important part of them so they are immensely curious and connected at the moment. It makes the energy around the learning palpable. We can learn from one another in ways that we weren’t able to learn from one another in the past. We can connect globally with teachers and students who are doing amazing, powerful things. 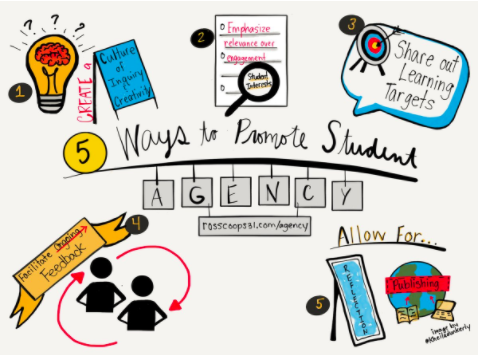 We can leverage those partnerships and collaborations to impact the students in our rooms. I also think it is a magical time because of the students in our room. I believe our students are the most creative generation of students in the history of education. I’m not saying they are more artistic or more well-spoken. I mean they are building, creating, engineering, and designing so much more than previous generations. It is important for our learners to be able to explore their curiosities, questions, interests, and passions. We need to strike a balance between what is expected for us to teach in the curriculum and what is best for students to learn for their future. 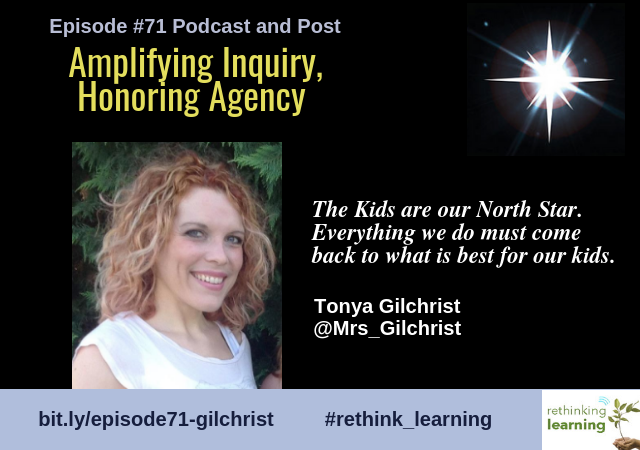 Dive into Inquiry hits that balance and allows teachers to see what the balance can look like day-to-day in their classroom and how do adopt that balance, structures, and processes. Honor student voice, and still hold clear what we know is good for student learning. Inquiry for me really surfaced because of the needs of the students I was working with. I spent the first 8-9 years working with at-risk students who were facing challenges that no student should have to face. Attendance was irregular. Wellness was inconsistent. Students were dealing with anxieties and may not have had a lot of support for their learning in their homes. I would have students disappear from class maybe for a week for a time even months on end. Your heart would hurt wondering where these students were. They would kind of drift back into the class unexpectedly. If you greeted them with the work or assignments they missed or a test they had to retake, they would never return to class. So I learned through this class, that these students needed relevance and why learning mattered. 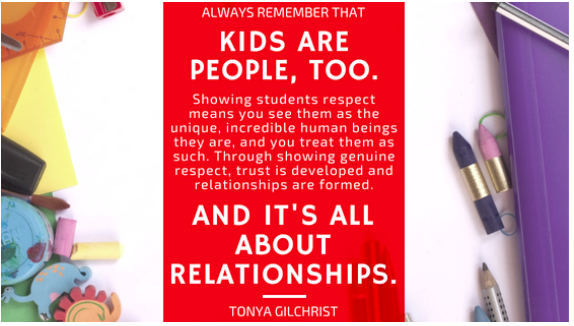 Beyond relevance, they needed relationships with a connection of trust with the teacher in the room. Plus that it wasn’t going to be about the assessment or the assignments that would drive learning. I ended up tinkering and learning about building those relationships and honoring the individual and in some cases, failed at miserably which actually is powerful learning. In the process, I came to understand what inquiry truly is. 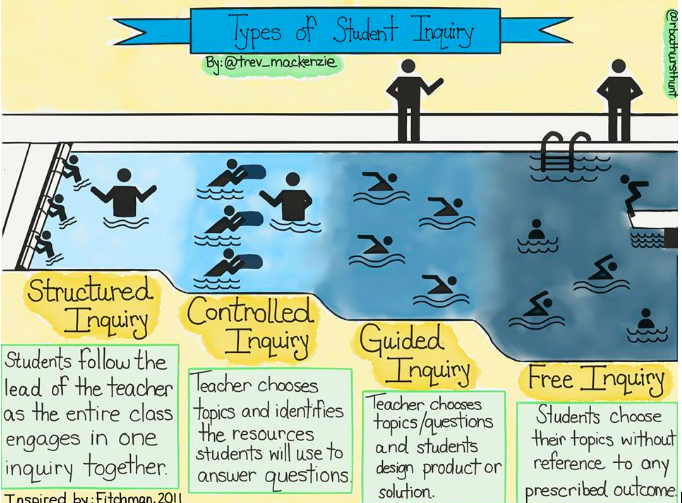 The swimming pool graphic analogy has several types of inquiry from the shallow end that is more teacher-centered and student participants to the deeper end of the swimming pool that is more teacher facilitated and student directed. What I propose in the book is that there needs to be a gradual shift of control over learning from the teacher to the student. 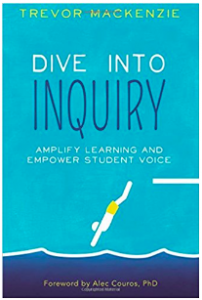 The analogy says we don’t want to throw our students into the deep end without the skills and understandings necessary to be successful in the deep end of the pool that is called Free Inquiry. 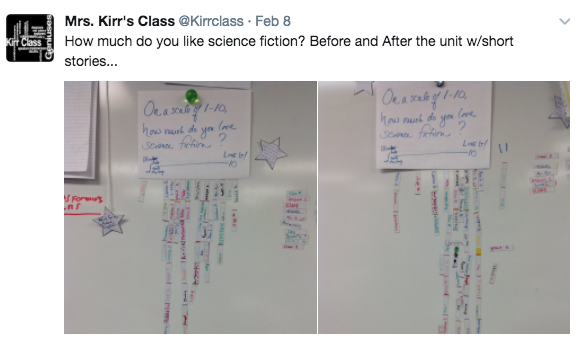 That is where students choose their own topic, craft their own essential question, and create their own inquiry unit of study. If students aren’t properly prepared for that, they can feel overwhelmed, anxious, and can lead to something that is not successful. Going through the cycles of inquiry until they feel more successful. That’s why we proposed in the book this gradual shift so students take a more drastic change in the classroom so students love learning. 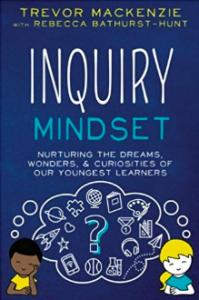 Inquiry Mindset was written by Trevor MacKenzie with kindergarten teacher Rebecca Bathurst-Hunt who also created the graphics. I’ve seen achievement and test scores increase. I firmly believe that when students have that engaging role that they used to have in Kindergarten. Our job is to bring back that curiosity and awesome learning experiences. That’s where Inquiry Mindset comes in and focuses on the K-7 classroom. Honoring those student questions that they have so they don’t lose those curiosities. My gut tells me that somewhere in students’ elementary school experience when things become too prescribed, too standardized, and those natural curiosities and questions students have to get pushed to the wayside. The world of tomorrow is not standardized and not a prescribed world. We cannot have our learners leave our system following the steps or orders of operations. The world is so much more than that. They need to be able to answer questions that are authentic, that cannot be just googled or solved in a quick search, that requires unpacking and grappling with a variety of resources, looking at problems from different perspectives, and then working with a bunch of different people and interest groups to solve these problems. These are the soft skills they will need for their future. Trevor MacKenzie expands on his first book with another powerful argument for inquiry-based learning by challenging educators to stoke students’ curiosities, hear their voices, and nurture their hearts. 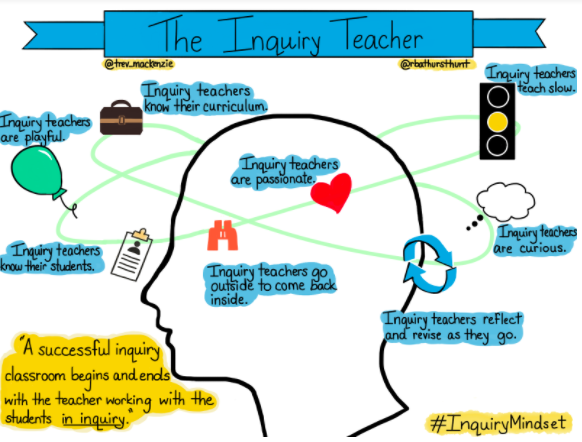 Inquiry Mindset provides practical advice, examples, strategies, and resources for teachers so they can meet those challenges for their own professional learning. MacKenzie takes readers on their own personal journeys to discover how they can become inquiry teachers. I highly recommend Inquiry Mindset for any teacher who wants to harness the potential for increasing student agency over learning. Trevor MacKenzie is an award-winning English teacher, Instructional Coach (focusing on inquiry and technology), and a graduate student from Victoria, BC, Canada who believes that it is a magical time to be an educator. 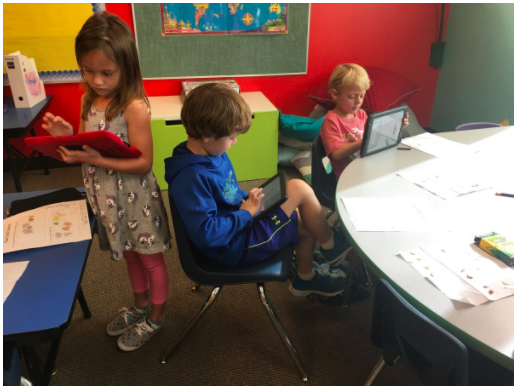 By increasing student agency over learning, weaving in strong pedagogy, transformative tech use, and sharing learning to a public audience, Trevor’s learners are ready to take on important roles in the 21st century. 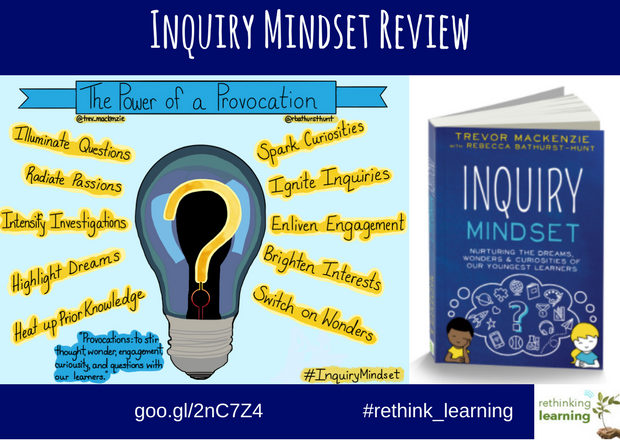 Trevor is the author of Dive into Inquiry published in the summer of 2016 by EdTechTeam Press and a new book, Inquiry Mindset co-authored with Rebecca Bathurst-Hunt who also did the amazing graphics for the books. Joy Kirr, a middle school teacher, author, and speaker, was nominated for a Golden Apple award for excellence and teaching in Illinois. 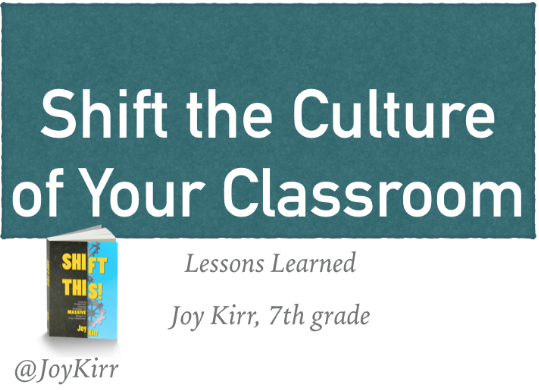 Joy has been a National Board Certified Teacher since 2007 and is the author of Shift This: How to Implement Gradual Changes for Massive Impact in Your Classroom. I’ve been following Joy on Twitter for some time and have been so impressed how much she shares online, on YouTube, and on social media. After reading “Shift This,” I reached out to Joy to have a conversation with her. Below are summaries of what we talked about in the podcast along with some resources and links. My teaching career has been a series of shifts—in mindsets, practice, and experience. My first seven years was as an itinerant teacher in the “wilds” of McHenry County, Illinois with students ranging from three to eighteen who were deaf or hard-of-hearing. They needed to learn to read so I went back to earn my master’s in reading. Then I spent the next seven years as the reading specialist at my current school, became the ELA (English Language Arts) department chair, and became National Board Certified. In my fifteenth year, I transitioned into a seventh grade ELA position in the inaugural year of the ELA “block” (reading and writing for 80 minutes). I was also going to be on a team consisting of two ELA teachers, one math, one P.E./Health, one science, one social studies, and one resource (special education) teacher with two teams per grade. This was my first classroom so I had my plans and worksheet originals ready to fill up the four-drawer filing cabinet well before the first day of school. I also filled the shelves with books organized by author’s last name. Halfway through the year, I started questioning all sorts of things about the room I’d so carefully planned and arranged. All I knew were worksheets, grading, and compliance. My own experiences in school were all I had to draw upon. After a few years, I decided to give my students time to learn what they wanted to learn. I needed to give some ownership to the students because what I was doing seemed too rigid. As the “sage on the stage,” I was working harder than the kids because I had all the control. I was on Twitter and learned some ideas to help initiate the changes I desired for my class. I now know I could never go back to the way things used to be. Finding a system that works for my students and for me did not happen overnight. You wouldn’t recognize my classes now. I don’t decorate the room, student choice is ubiquitous, we have time built in to personalize learning, students teach each other, and we use feedback in lieu of grades. When you assign something, do you make sure you complete the assignment before your students do? Thanks to A.J. Juliani, I joined the Genius Hour / 20% Time MOOC in the summer of 2013. I learned a ton about what I was assigning students, and what I needed to change. Genius Hour is just a piece of something bigger than all educators are aiming for. I jumped into Genius Hour. Once I made the leap, I began to question and alter many other aspects of classroom time. I realized that you don’t have to dive in all at once to make huge, positive changes. About the Book: Shift This! Joy Kirr is a middle school teacher, author, and speaker. Her 7th grade ELA (English Language Arts) classes are working to improve their lives through student-directed learning – without marks throughout the year. She teaches in a truly supportive district in Arlington Heights, Illinois. 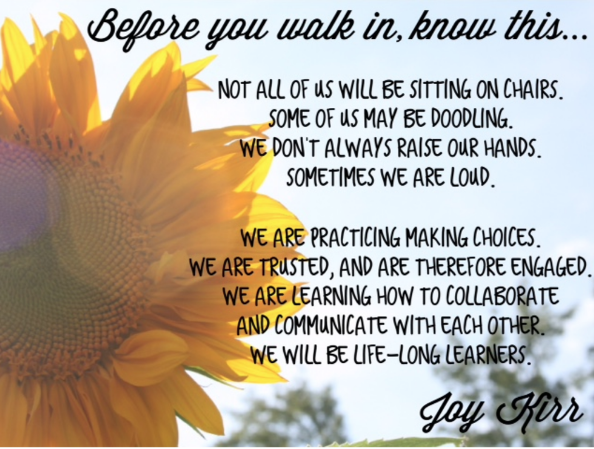 Joy is passionate about students owning their learning. 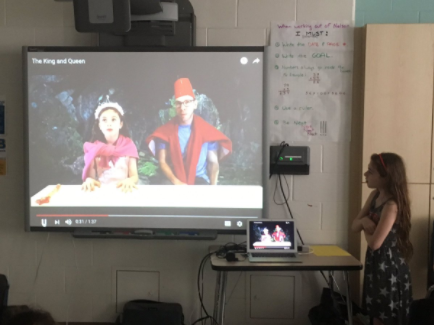 She enjoys being known as a “Genius Hour Evangelist,” and is grateful for how her students have stepped up their learning while giving and receiving feedback in lieu of grades. Joy is sought after for her workshops on how to bring student-directed learning into the classroom. Presenting around the nation has helped Joy spread the message that educators need to strive for all children to become lifelong learners. Joy earned her bachelor’s degree in special education with an emphasis on deaf and hard-of-hearing in 1995, and she later earned her master’s degree in reading from Northern Illinois University. Recently, she was nominated for a Golden Apple award for excellence and teaching in Illinois. 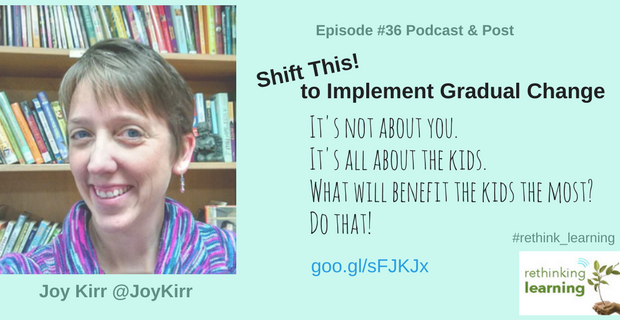 Joy has been a National Board Certified Teacher since 2007 and is the author of Shift This: How to Implement Gradual Changes for Massive Impact in Your Classroom. 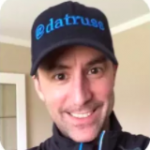 David Truss is Principal at The Inquiry Hub Secondary, Coquitlam Open Learning and Suwa’lkh in Coquitlam, BC, Canada. Dave’s website, Pair-a-Dimes, received numerous awards and has his own podcast show. Dave is an amazing presenter and keeps pushing the edge in education. His new venture is his eBook Twitter Edu. I’m married to Ann, a teacher, and have two daughters, Cassie and Kaitlyn. In 2009 we left the bubble-wrapped suburbs of Vancouver, Canada and spent two years living in Dalian, China. Currently, I am an administrator with the Learning Innovations Network Coquitlam (LINC) for School District #43 in Coquitlam, BC, Canada. 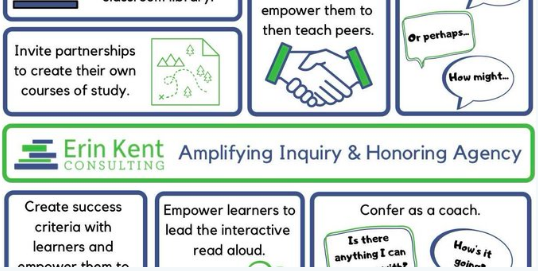 My primary responsibilities are to Coquitlam Open Learning and our blended learning Inquiry Hub Secondary School. Coquitlam Open Learning http://online.sd43.bc.ca is Coquitlam’s Online and Blended High School, with programs and student support provided in all of our district high schools. Inquiry Hub Secondary School http://inquiryhub.org An inquiry-based school of choice where students get 50% self-directed time to DCL – Dream • Create • Learn. Suwa’lkh Learning Centre https://www.sd43.bc.ca/school/Suwalkh/Pages/default.aspx is an indigenous educational program open to students in grades six to twelve. Suwa’lkh means ‘New Beginnings’ in the Hul’qumi’num language. The goal of education is to enrich the lives of students while producing articulate, expressive thinkers and lifelong learners, who are socially responsible, resilient, and active citizens of the world. Education is about teaching students, not subjects. 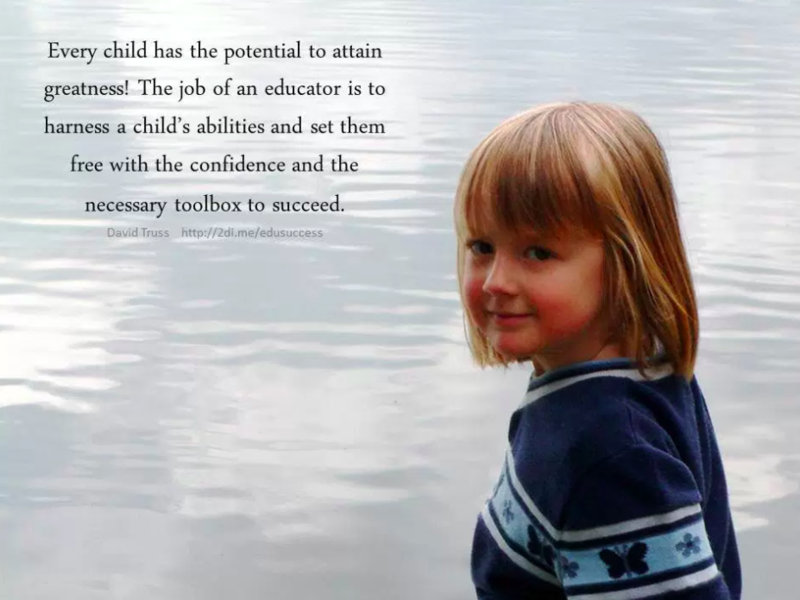 It is about engaging students in their learning and maximizing the potential of each and every child. Education is about looking beyond the child’s intellect and seeing the whole child. Education is about providing students with opportunities to be challenged and still succeed. Change only happens when we create a need. Change is not a thought or a discussion, but an action. The idea is simple. The greater the importance we place on something, the greater the challenge we are willing to face. We will find a way! However, if it is not important enough, then it is much easier to make excuses than it is to make the effort to face the challenge or to change. Change happens when: Importance > Challenge. 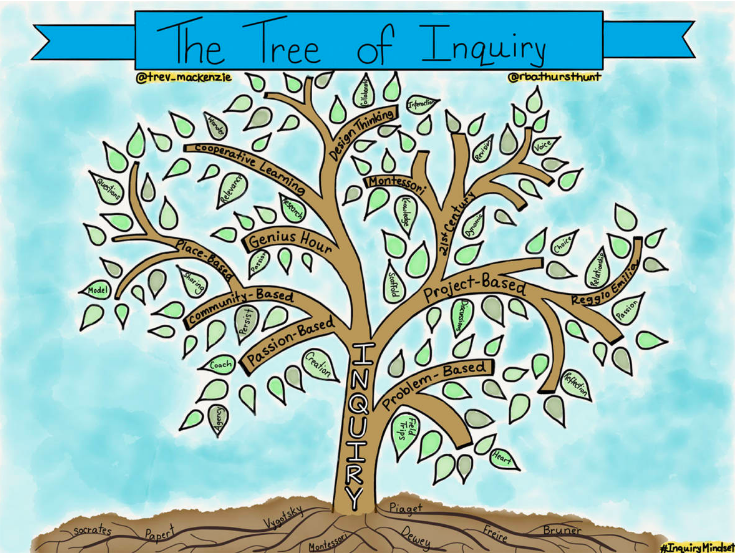 Inquiry: Inquiry-based learning is a key tenet of the Inquiry Hub. When students get to choose their own topics, with guidance and support from their teachers, peers and community members, these learners will produce thoughtful, rich and compelling answers. Voice: When students explore their interests in-depth, they will often discover insights worth sharing with others. At the Inquiry Hub, we believe that an integral part of learning is the ability to share what you’ve learned with others in meaningful ways. Audience: An important skill to learn is how to ‘write to a specific audience’, and there is no better way to promote this than to give learners a legitimate audience for their work. Community: Collaboration is a learned skill that is essential in today’s world. Our goal will be to have students collaborate on projects that matter, in many different communities. Leadership: At the Inquiry Hub, students will be provided with many opportunities to be designers, stewards, and teachers. We believe that every student has the potential to lead! Play: We can learn a lot from (and within) play. School is a learning sandbox. Play promotes discovery and invites the idea that we can have fun learning, even from our mistakes. 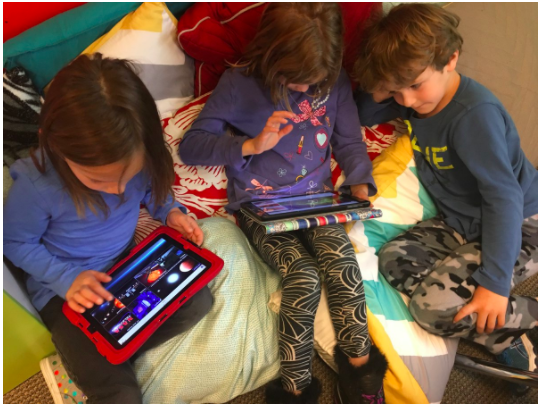 Networks: The COL Inquiry Hub uses a hybrid model that blends classroom, community, and online experiences, and so students will be exposed to a multitude of learning networks. This is a post that I refer to in my presentation on how you can learn from failure. Every student should try something audaciously big, and meaningful beyond the classroom walls. Even if they fail, they will have a tremendous learning experience in the process. Besides, we owe it to students to show them what it takes to overcome the failures they face. Filled with ‘live’ links to help you Tweet and Retweet as you read the book, Twitter EDU makes learning to use Twitter an engaging experience! 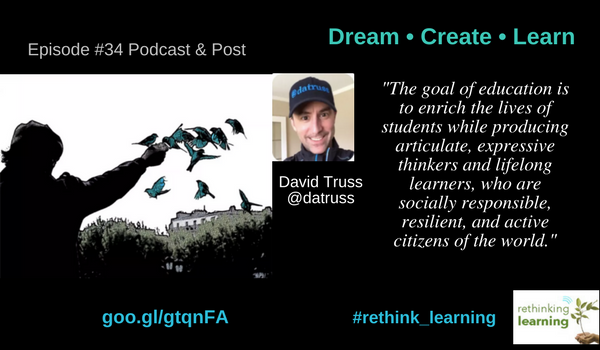 David Truss calls himself a husband, a parent, an educator, a student, a thinker, a dreamer, and an agent of change. Ross Cooper is the Elementary Principal of T. Baldwin Demarest Elementary School in the Old Tappan School District in New Jersey, co-author of Hacking Project Based Learning and and was the Supervisor of Instructional Practice K-12 in the Salisbury Township School District in Allentown, PA at the time of the podcast. 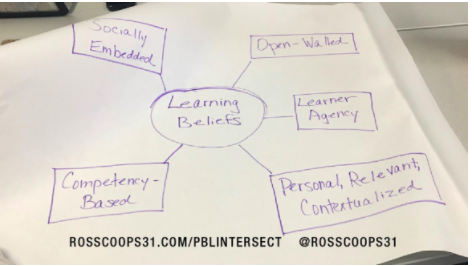 I have been following Ross on Twitter for years and was lucky to meet with him face-to-face at EduCon last year. Planning on meeting up again this year in Philadelphia. He along with Erin Murphy his co-author even hosted a twitter chat for Personalize Learning. 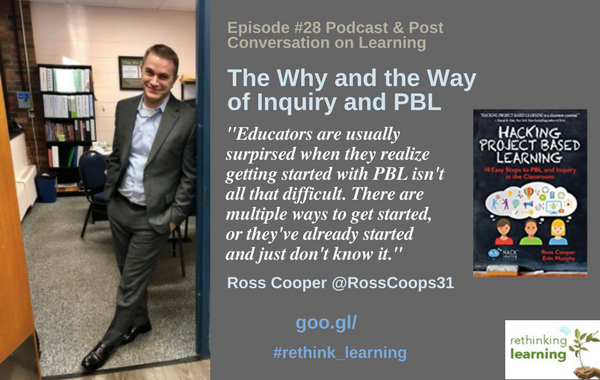 Since our conversation, Ross became principal of a new school so that information is not in the podcast but we added it in this post. Below are some excerpts from the podcast. I grew up in Trumble, Connecticut and went through the Trumble school district which was a typical school system. For the most part, it wasn’t for me. I was one of those creative students who thought outside the box, but was not as good at school work. To me, it seemed like school only offered one way to learn, and I had to fit in the system. My grades were okay, but school did not bring out my full potential. One example is the way I hold my pencil which is a weird way but it works for me. 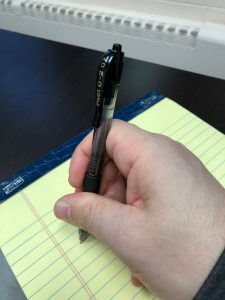 Specialists worked with me to change the way I hold my pencil, but I could never change it. They kept telling me I would have problems when I got older. I didn’t. It’s a perfect metaphor. Instead of saying go with what works best for you, they spent way too much time trying to change how I hold a pencil They wanted me to be like everyone else. In middle school, I decided I wanted to be a teacher, mostly because I wanted to do things different for children and be the teacher that the young Ross needed. My friends know me as a huge foodie especially dry age steak and pizza preferably from Connecticut or New York. I also was thinking of going to culinary school. I ended up going into education where I did some special ed full-time for 6 months in 3rd grade, then 6 years in 4th grade. I became an assistant principal for a year then 3 years as a curriculum specialist in Allentown, PA [Note: Ross is now principal at T. Baldwin Demarest Elementary School in the Old Tappan School District, New Jersey]. 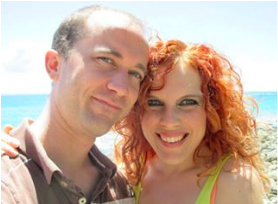 Share why you and Erin decided to write your book. A lot of creative people are the outliers who have the confidence to do things their own way. They do not listen to the naysayers. You see educators who are outliers are writing more books than ever before because they use social media to share their writing immediately to attract people to their work. There are also more opportunities to publish with independent publishers. Project-based learning was a natural topic to write about. One of the lines I love is “Simplicity is the ultimate sophistication.” This is when you know a topic so well that you are able to communicate it in a very simple way so people can grasp it. 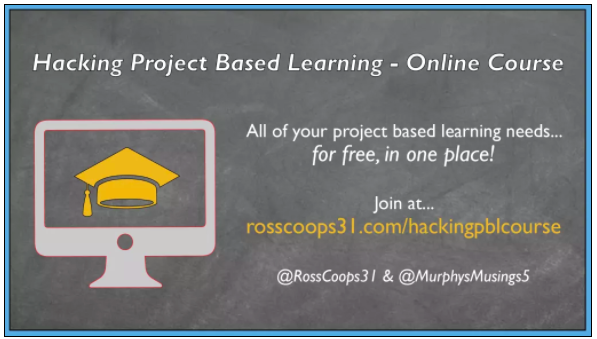 Erin and I wanted to frame PBL in a simple way so it was very accessible so people would want to read it. Structure and Design of the 10 Steps to PBL and Inquiry in the Classroom? Hack #1: How can teachers develop a space that promotes risk-taking? We start with building the culture in the classroom by bringing creativity. Culture is not an initiative. It is something you constantly work on. It is established and grows with PBL. 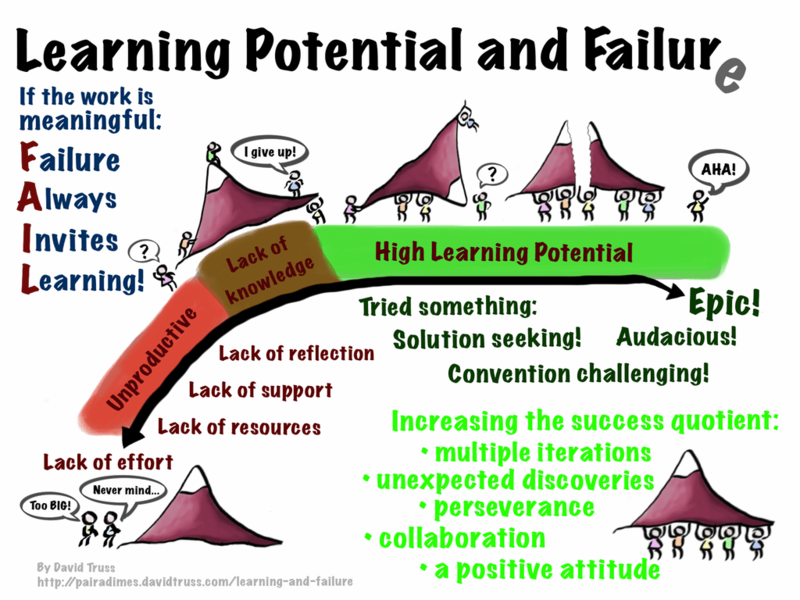 Trying to fit PBL in a traditional classroom doesn’t work. Some teachers give up if it doesn’t work right away. If we expect our students to take risks, we need to take them as well. If we set the bar high, trust our students, and work with them, they will not only hit the bar but pass over it by leaps and bounds. Even if they are 8 or 9 and we treat them like adults, what they give back to you is jaw-dropping. Sometimes what we do is limited by our own comfort zones. If you are not comfortable doing something, then the students will also be uncomfortable. But if you do something and believe that something is going to happen, you will see students jump in. Hack 2: Teaching collaboration skills. How can teachers harness what kids know individually and encourage them to work together? When I was teaching, I took risks also and modeled what I was doing along with metacognition, the why I was doing it. I encourage teachers to be involved, model and be hands-on with their students with any activity. In our book, we move through all of the hacks to get to Hack 10 where we finish the projects in style. It is important to infuse reflection, publish and share. Each hack includes what you can do tomorrow and a blueprint for full implementation. To make each of the hacks personal, there is an example in each chapter of a hack in action. 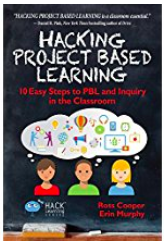 Ross Cooper is the co-author of Hacking Project Based Learning and currently is the Elementary Principal of T. Baldwin Demarest Elementary School in the Old Tappan School District in New Jersey. 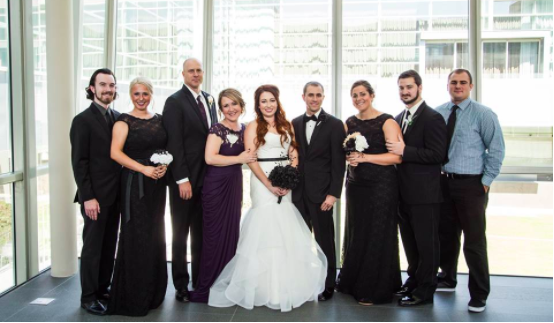 Previously he was the Supervisor of Instructional Practice K-12 in the Salisbury Township School District in Allentown, PA. Before that he was an elementary assistant principal for a year, and before that a fourth grade teacher in the East Penn School District for six years. Ross is an Apple Distinguished Educator and a Google Certified Innovator. His passions are inquiry based learning and quality professional development. 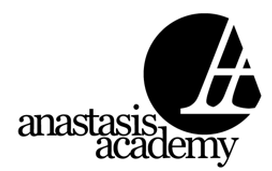 He regularly speaks, presents, and conducts workshops related to his writing and professional experiences. When he is not working, he enjoys eating steak and pizza, exercising, reading books, playing on his computer, and provoking his three beautiful nephews. How can we be kind? 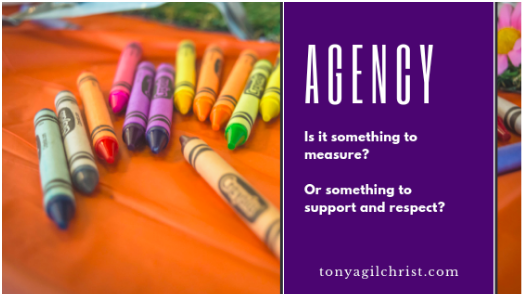 The Driving Question for our kindergarten Project Based Learning (PBL) is a topic that should be prevalent in every classroom today. Building a positive social and emotional foundation in our learners is just as important as building their academic foundation. A great PBL needs a hook to engage the children and inspire them to dig deeper and further their learning. The launch for this PBL was a guest speaker. 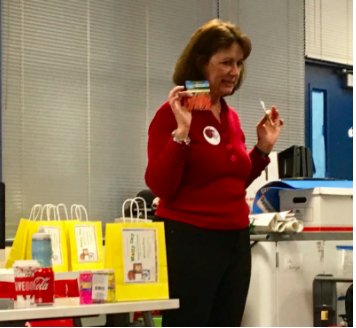 Mary Growitz spoke to the children about #LiveLikeMolly. Molly was Mary’s goddaughter. Sadly, Molly was killed in a car accident. As a way to honor her memory, her parents began the #LiveLikeMolly initiative, encouraging random acts of kindness. 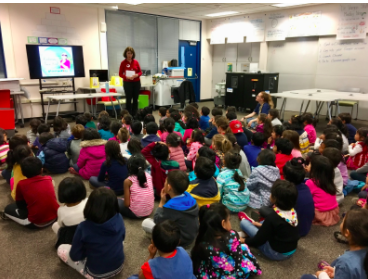 Mary talked to the kindergartners about what it means to be nice and helped them brainstorm some random acts of kindness they could do themselves: pick up trash, give a hug, buy a coffee/hot chocolate for somebody, and write a nice note. 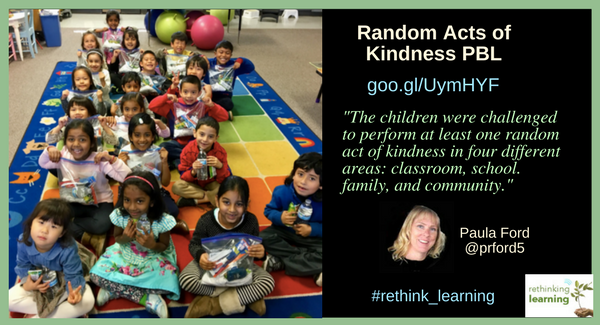 The children were challenged to perform at least one random act of kindness in four different areas: classroom, school. family, and community. Upon completion of each act, they would share it with the class and then add their name with a picture of their act to our PBL wall. 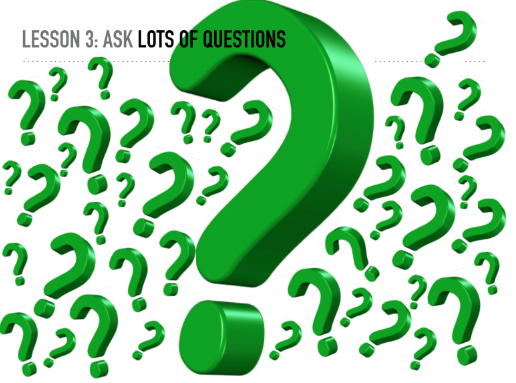 Along the way, more questions were asked, and together we learned the answers. Thinking about the other person’s wishes and needs, and acting on it. Doing something nice for somebody without expecting anything in return. How can we find out what people need or want? The children used great creativity in their choices for random acts of kindness in the community. 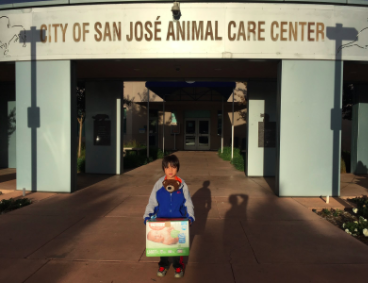 Soichiro delivered donations and a nice note to the local animal shelter. 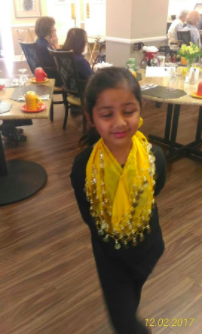 Devanshi performed a dance for people at a retirement home. 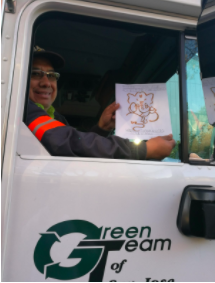 Siyona wrote a nice note for the garbage collectors. The children decided to follow in Warren’s footsteps and work as a team to help the homeless in our community. We collected needed items and assembled blessing bags. We invited Rodney, from Home First, to collect the blessing bags and talk to us about the homeless people in our community and ways to help them. He collected the blessing bags and told us how they would be of help. 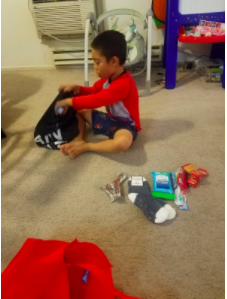 He confirmed our research and told us the socks were the most important item. He then suggested that we could donate our unclaimed lost and found items to Home First, so that the children would have warm jackets for the winter. We thought this was a great idea. 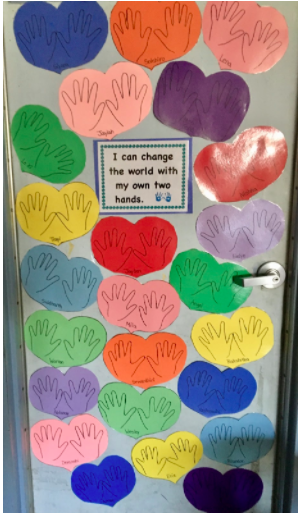 This PBL project helped the children learn about other people’s needs. 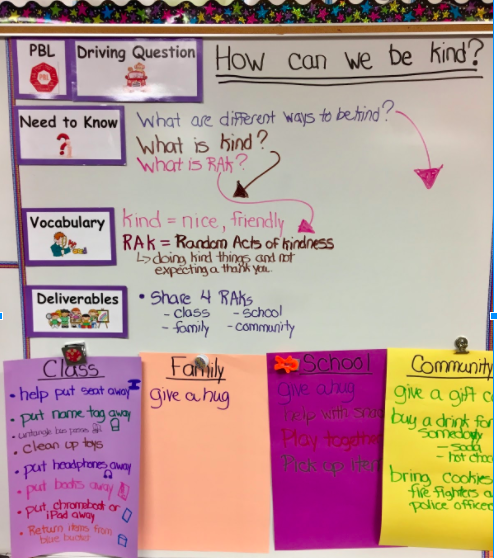 They brainstormed different ways to spread kindness, and then acted on them. 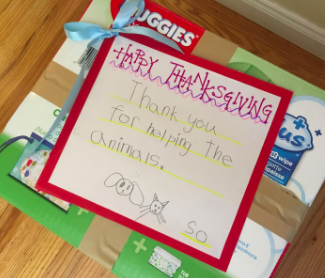 Through this process, they learned that though they may only be five years old, they still have the ability to make someone else’s life a little better. Their random acts of kindness did not stop with the PBL as the children were all inspired to continue to #LiveLikeMolly. This PBL’s message is one that I hope everyone can take to heart. If you look close enough, you will find that you have the ability to brighten anyone’s day. All it takes is a random act of kindness. We recently talked about Martin Luther King Jr. in class. During our discussion, the children commented that he reminded them of our kindness PBL. I asked them to tell me more about that. The children said that he encouraged people to be kind, use kind words and not fight. I was thrilled to see them apply their learning to other things. This was after we concluded the kindness PBL, so it was nice to see that what they had learned had stuck with them. 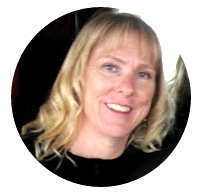 Paula Ford graduated from University of California at Davis with a Bilingual Cross-cultural Language and Academic (BCLAD) multiple subject teaching credential, and has been teaching for over twenty years. She began my career in bilingual education, and then moved to teaching second language learners. I was brought up to think on my own; to color outside the lines; to be creative, and always ask “why” even if there were no answers to the questions. I have always been curious asking why we are here; why the grass is green and the sky is blue; why being passionate about something makes you feel so good; and even why there were so many questions. 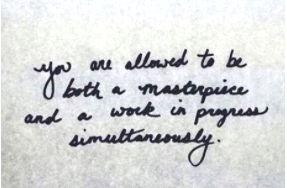 A few years ago, I wrote what I believe and don’t believe about learning which still works for me today. anyone can learn at any age. anything can be a teachable moment. you can take risks, fail and try again. everyone can be a teacher and a learner. everyone needs a voice in their learning. 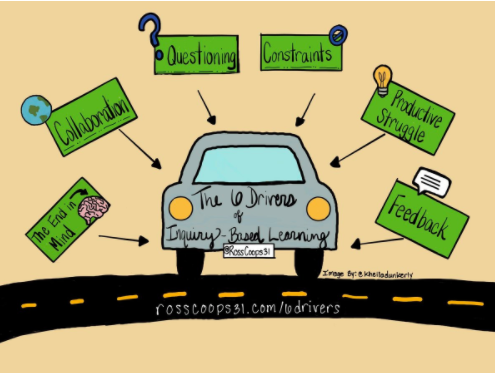 anyone can own and drive learning. that each of us can advocate for what we believe in. a teacher is the only expert. that students need to sit in rows. content is only from the curriculum. learning stops when school ends. school is the only place for learning. that you are destined for only one career. What do you believe and don’t believe about learning? 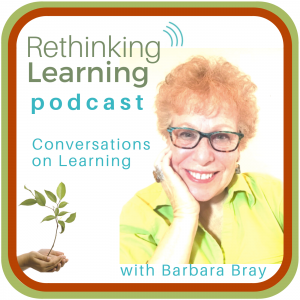 It’s been wonderful having conversations with amazing educators in the Rethinking Learning podcast series. In doing several of the podcasts and learning about their pasts, I decided I wanted to reflect on how I got to now. If you know me, you may not believe that I was actually very shy. I don’t remember much of kindergarten except that I had problems coloring inside the lines. My mom was an artist and told me there were no lines and to draw where ever I wanted. 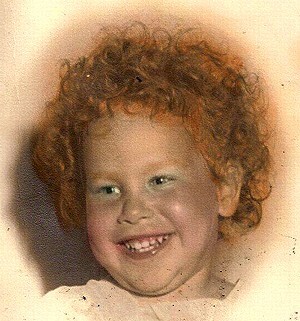 She made all my clothes and finger curled my hair so I looked like Shirley Temple. She made me believe that I was beautiful, smart, and could do anything. When I went to school, reality hit me. I had trouble fitting in with everyone else. Some of the other kids made fun of my clothes and my curly hair. I didn’t look like everyone else. Actually, the real problem was because I didn’t want to follow the rules, so I kept my mouth shut. My life at home was so different than my experiences at school. My parents told me I was beautiful and asked me every day what I did that day. I had a voice at the dinner table and with my sisters. Yet, in school, I had very few interactions with others and felt invisible. My teachers made me sit still, fold my hands, keep quiet, and only go to the bathroom when they allowed it. 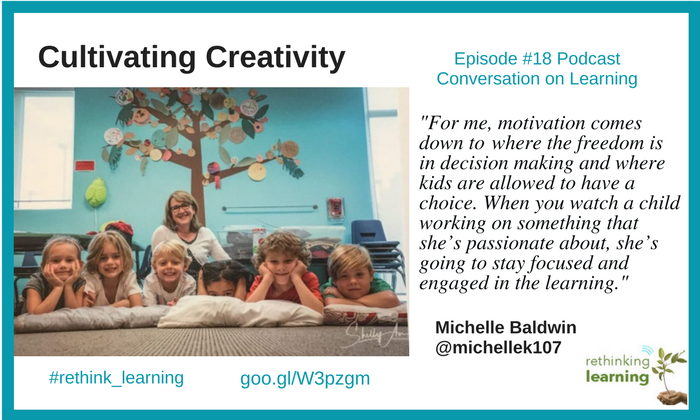 In third grade, I had a new teacher who believed in play, being creative and encouraging everyone’s voice. We did projects in groups. I remember creating a paper-maché map, sitting wherever we wanted, dancing, and playing fun roles in plays. We did a lot of giggling and had fun in class. He took time to get to know all of us. It was the first time I really enjoyed school and felt like someone cared. Halfway through the school year, he was evaluated by the principal and the classroom changed. He made even stricter rules than I had before. We had to sit in rows. I couldn’t believe this was happening. Learning was fun and now back to the same old ways. Fourth grade was even stricter and I only spoke when called on. My parents were told that I wasn’t going to go very far if I didn’t follow the rules. My parents were my advocates, but there weren’t that many options for me in school other than following the rules and keeping my mouth shut when I was young. Nothing much changed in my K-12 world. A few teachers took the time to get to know me, but most of the time I just went through the motions. Very few ever asked me how I learn, why I was not getting something or even interacted with me. I learned how to “do” school. A high school counselor told me that I may want to look for a job instead of college. What? I loved learning but not the way school was then. I was just being compliant because that’s what the system seemed to want me to do. Now I wish I stood up and stood out. I did want to go to college and learn more. So I went to a community college, and that’s where I found my voice. I tried a little of everything and realized I could do something if I put my mind to it. I loved writing and wrote a poem that my English teacher said was really good. He asked me to read it in the quad to other students at noon. I did, and they loved it. Wow! 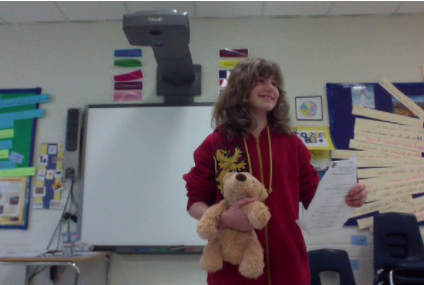 He then published my poem in the school newspaper and received wonderful reviews. I started writing more and wrote a short story that I entered into a contest and won. Looking back, I just wonder who I would be now if I knew I could write and found my voice earlier. I do have to say now when I look back at my younger self, I wish I appreciated my privileged life. I had a family who cared for me and believed in me. I went to good schools. The teachers only did what they were taught or told to do. It was just the system that wasn’t working for me. I made a choice back when I was younger to be compliant. Later when I realized it was my choice on how I was going to learn, that I decided I was going to do whatever I could to change the education system. I knew that every child needed to have a voice in how and what they learn. They need to know they can have a voice and make a choice on how and what they want to learn. That’s why I went into education. Maybe I had to go through what I went through to be who I am today. I know so many others who are adamant in changing the system because of their own experiences. I tried to change the system for my children, but it’s not that easy to change it as a parent. That’s another post to write. So through my journey, I eventually found my voice and discovered that my purpose is to share stories of awesome educators, administrators, and learners and how they changed the way they teach and learn. That’s why I have this website and started my podcast series, Conversations on Learning. We have to transform teaching and learning because the system still encourages compliance for most of our kids and teachers. But things are changing. The future is here now. Businesses want people who are creative, critical thinkers and can self-advocate for what they believe in. 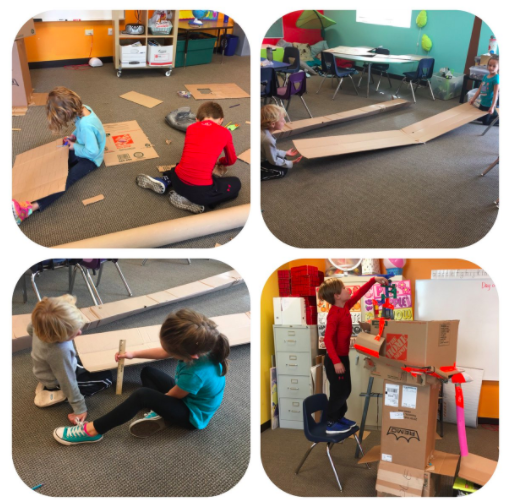 We need to prepare our kids to be global citizens in a world that encourages agency so they embrace and demonstrate creativity, imagination, and innovation. Let’s be there for all children and educators so they have a voice in discovering their passion and purpose for learning. What is your purpose for learning? 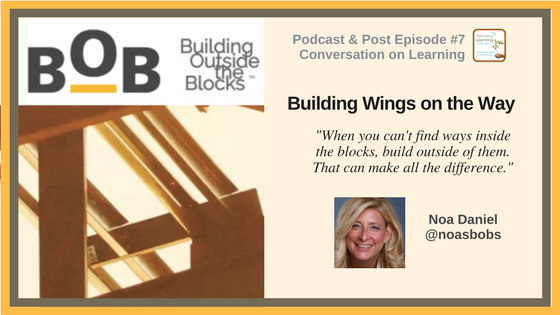 Noa Daniel, MEd Teacher, is a consultant, coach, and passionate educator from Ontario, Canada, co-host of #ONedchat, Chief Building Officer of Building Outside the Blocks (BOB) and hosts the Personal Playlist Podcast. I follow Noa Daniel on Twitter, joined her as co-host of #ONechat, and have enjoyed the conversations online with her. Then she reached out to me to be on her podcast show, Personal Playlist Podcast #P3. I really enjoyed picking three songs for my playlist and having conversations around those with her. So I asked Noa if I could have a conversation with her. I captured excerpts from the podcast for the post below. Can you first tell me a little about you? I live outside of Toronto with three beautiful daughters, an adorable dog, and a wonderful husband. In the last 22 years, I’ve been teaching in two independent schools. The first one I taught there for 14 years. I’ve loved teaching at both schools, but I’ve decided that now is the time to launch my consulting practice. I’ve been doing a lot of consulting over the years on the side. People would ask me to do things when I was teaching full-time. I just didn’t have enough time to help them. Now I’m going to say yes to pretty much everything I want to do that I wasn’t able to do when I was in the classroom. Can you share why you call yourself a passionate educator and inspired learner? People tell me that I’m so passionate even after 22 years in the classroom. You see, I love learning and I’m inspired all the time to the point of ridiculousness. When I’m on Twitter, people, information, and conversations are available 24/7. I have access to learning and engagement where people are doing such cool things. Who wouldn’t be inspired if you’re in touch with what’s going on out there? What is your role as an educational coach? Over many years, I’ve mentored new teachers formally and informally. When a new teacher comes to the school, I’m often that person they hang out with. Sometimes, I’m asked to mentor them and sometimes it just happens. I really love helping people and listening to their stories. I see the power of coaching one-on-one the same way I see it in the classroom when we work with a learner. It’s really about making people feel significant so they know what they like, know and want to do matters. Teaching can feel so difficult sometimes. It’s nice to have someone in a non-evaluative position to talk to and work through ideas. I’m so grateful for my mentor who coached me. If I can give back a tiny percent of what I received and she continues to give me, then I would be so happy. One of the scariest things about teaching is that it is messy. 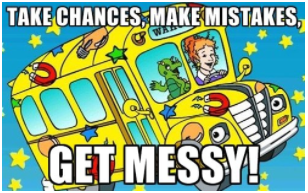 Not all teachers feel comfortable with messy especially educators who like all their ducks in a row. Telling them it’s okay and modeling it for them, that you lived in messy and survived it, is always helpful. What are some of the strategies you do for coaching? Coaching is about relationship building and that’s how you teach individual learners. I feed off of people’s energy. I can tell when I need to work with them to think teaching idea through, a model for them, or help them to be themselves. I love helping talk through new ideas, lessons, projects and more. When people feel free to communicate with someone else and tap into who they are as a person, they can soar. 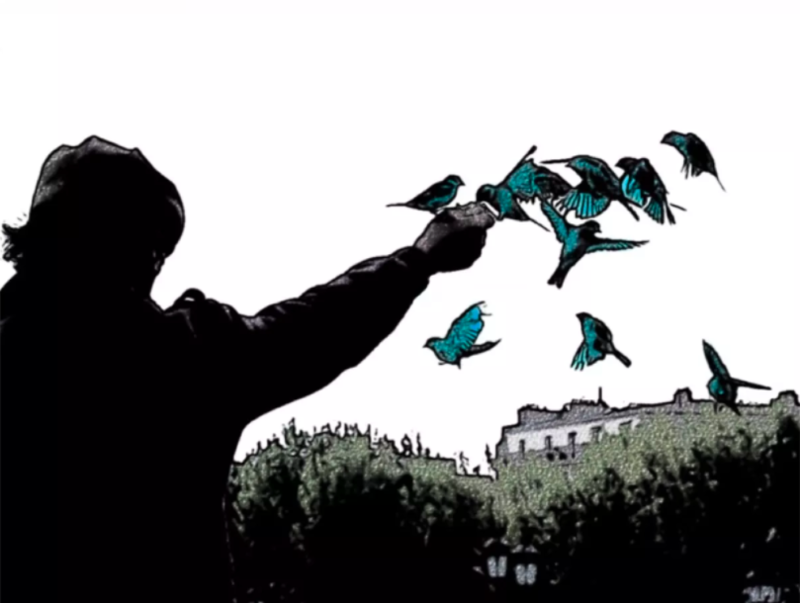 The truth is, though, we don’t always soar. Sometimes we have to figure it out on the fly. But if we don’t take those leaps, then we never get that feeling of elation of actually not hitting the ground. It turns out that you are floating above it and making it happen. 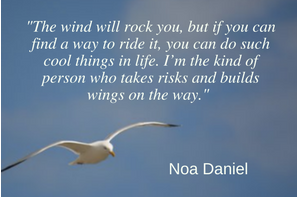 The wind will rock you, but if you can find a way to ride it, you can do such cool things in life. I’m the kind of person who takes risks and builds wings on the way. How did you become co-host of #ONedchat? We say On-ed-chat for our Ontario chat. I didn’t start #ONedchat. 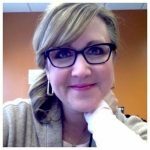 Actually, Allison Fuisz @allison_fuisz who is an amazing thinker started this chat with Amy Bowker. There was a point where Allison wanted a more collaborative team so others could share the experience and the load. I participated in this chat a lot and was invited to join this team of amazing people as part of my PLN. Some of the people on the team have changed, but it has been a gift that keeps on giving. We’ll have a team meeting about what topics are prevalent in education in general and specific for Ontario. Then we’ll chart it out and figure out who will moderate the chat. I signed up to moderate my first chat before I knew how to run it and figured it out in time. As I got more comfortable, I invited you and Kathleen to host a chat on #ONedchat and that was so cool. I felt like I won the lottery when you said yes. 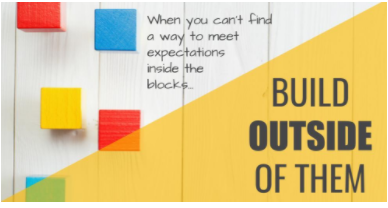 Your website/blog is called Building Outside the Blocks (BOB) – why do you call it that? It started with my mentor who I only saw once a week. I was given a job in my second year and didn’t think I would survive. I was given grade 4 English Language Arts and Literature and grades 7, and 8 Science that I never taught before. At first, I thought I wasn’t going to be able to do a good enough job. I toured the science classroom and saw the eye wash station. I really didn’t think I was going to make it. I decided to build projects like I always did. I knew if my students could find a way to see themselves in each unit of inquiry, then I could at least have something to offer them. My mentor who was my academic coach since it was my second year at the school, but 15-year teaching, came in the class and saw that the kids loved science. She asked me what I was doing. So I said, “I don’t know. It’s like I’m building outside the blocks, I don’t know what it is.” Every time I met with my her after that. we talked about what I was doing with my projects. She asked me if it had any common elements. I told her that all my projects invite voice and choice, involve student feedback, so I started writing about it. A month later, I decided that it was called Building Outside the Blocks- BOB for fun. In fact, it is fun to create BOBs for my students and for others teachers. BOB is more than just the projects, though. It’s really about how to think and ways I can offer something unique to education. So when I decided to start my consulting practice, I had to call it BOB. I am BOB and BOB is me. How did you come up with the Personal Playlist Podcast? A few weeks ago, I was sitting with Stephen Hurley @Stephen_Hurley, producer and brainchild behind voicED Radio. 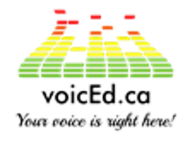 It is an incredible radio station for educators. It is a forum for a lot of interesting things. He encouraged me since I am on the #ONedmentors team who form a panel and talk education to support preservice and new teachers on Thursdays at 9 EST, to invite me to host a podcast. I told him about a project I did in my grade seven involved Personal Soundtracks. My seventh graders were so into it that my middle years’ coordinator asked me to videotape the students’ thoughts on the BOB. A colleague ended up the students about their playlists, talking about the impact of the project and how important music is to them. I wondered what it would be like to interview adults about their personal playlist. Stephen said he wanted to be my first person on my show. After 3 weeks, you are my 6th interview and I am transformed by this experience. It has become two things for me. This is an incredible way to see people through music and how they unpack the choices of music through their narratives. You can really invite people to share parts of themselves through this powerful personal inquiry. How do you build a leadership culture? It is about building student’s voice. 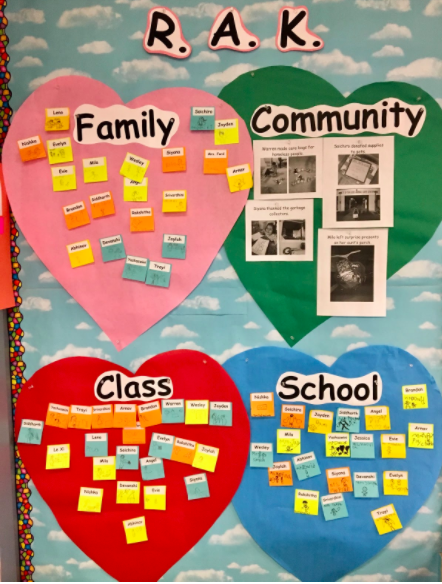 I have had the privilege of running all the student activities and created organizational charts similar to the one below to give students ways to be themselves outside the classroom and explore parts of themselves through leadership. When my students put a newspaper together, for example, and I have kids really into drawing but get into trouble in the class, now there’s this place to manifest their real talent. So they’re creating comic strips, while kids that are gamers are writing articles about the video games they love, and others are writing articles about fashion. For those kids that don’t see themselves as learners inside the classroom, there are always ways to fill in the pieces that are missing. I saw these they were really good at sports. In fact, they could do a fantastic play by play, so I created Sports Desk that included Friday announcements and a section of the school newspaper. It’s for whoever is in the room not involved finding something for them to do. Leadership culture means creating opportunities for more kids to be involved and self-direct their learning. You can provide the structure, catalyst, and provocation so everyone can reach the sky or further. It’s about responsiveness and about engagement being an effective skill for seeing the whole child. Being engaged is not just about student interests, but about who they are as human beings and giving them opportunities to explore that. What challenges do you see with learning? One of the challenges of modern learning is that it can take kids further and further away from themselves. Mindfulness is showing us that there are ways to channel yourself in class but that it doesn’t necessarily only evolve through meditation. That’s another reason why my BOB projects excite me because there can be opportunities that change based on student feedback. It’s all about helping them see who they are and explore themselves, so they feel connected to their work. I like the idea of going from strength to strength so they meet with success. So many kids have never experienced success. My friend Jen Giffin tells this amazing story about a child who prepared a paper and then he didn’t hand it in. 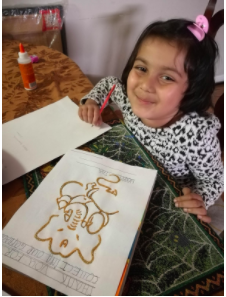 The child then said, “when it’s in my backpack, it’s still good.” When you give them a way to feel successful at school, then that becomes schema they can tap into later in life. 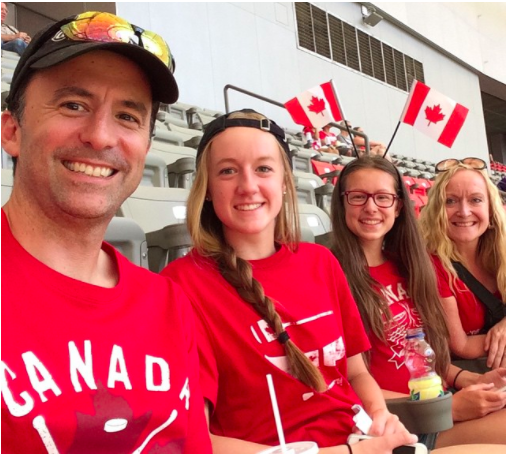 Noa Daniel, MEd, is a mom of three, a passionate educator and inspired learner who lives in Ontario, Canada where she builds projects, initiatives and capacity to promote student voice and propel engagement. She taught 22 years in the classroom and enjoyed coming up with ideas and projects that engaged and motivated her kids. Noa tells her story how, with support from her mentor, how she developed Building Outside the Blocks. This is where she came up with the idea of BOBs; projects where kids own and drive their learning. Now, Noa is a consultant coaching new and veteran teachers and is one of the co-hosts at #ONedchat and #ONedmentors. Noa hosts her new podcast show “Personal Playlist Podcast” #P3 where she interviews her guests as they explore songs from their past, songs that identify them and songs that motivate them.